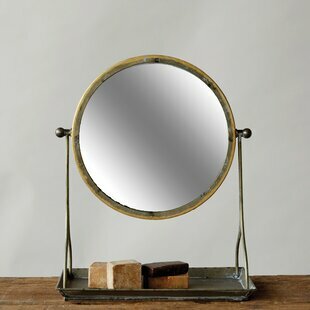 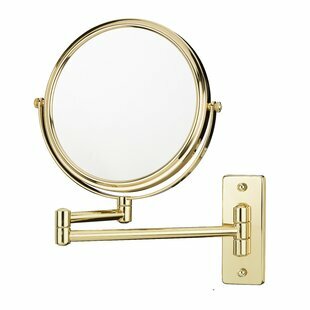 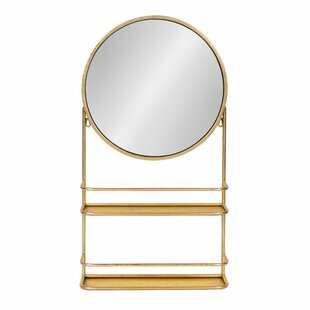 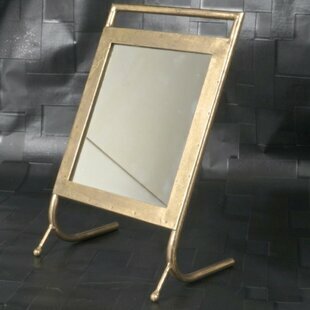 A versatile free stand makeup mirror made from brass. 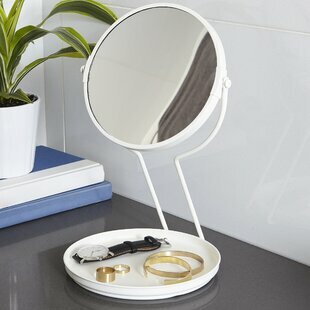 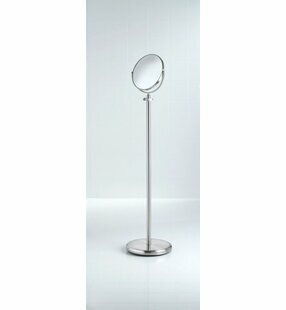 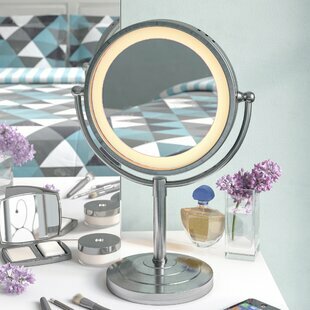 This cosmetic mirror from Gedy by Nameeks is a modern-style magnifying mirror. 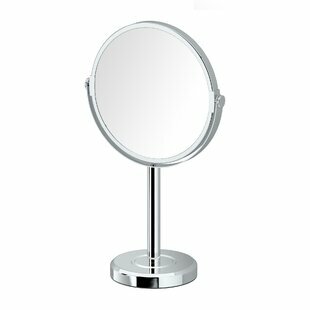 Overall: 12.1 H x 5.51 W x 4.33 D Overall Product Weight: 1.1lb. 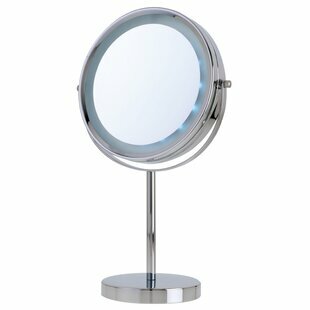 The lustrous chrome finish on this luxury mirror shimmers like a silver fin and provides 5x magnification for a dynamic point of view. 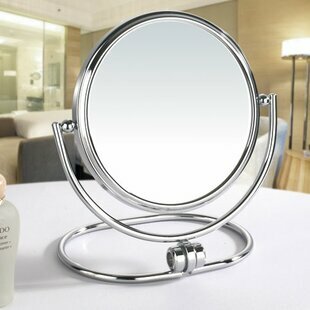 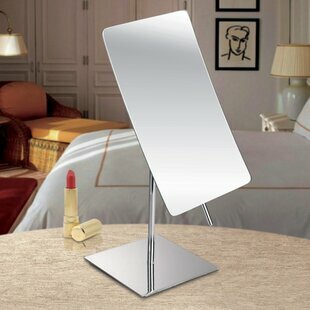 This mirror is used in luxury hotels and day spas and is the epitome of excellence in beauty products. 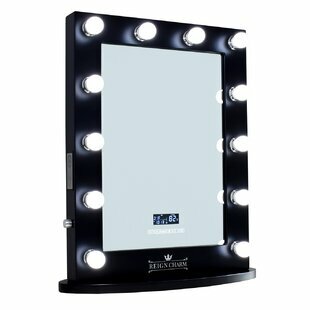 The outer edges illuminate your face with bright LED lighting. 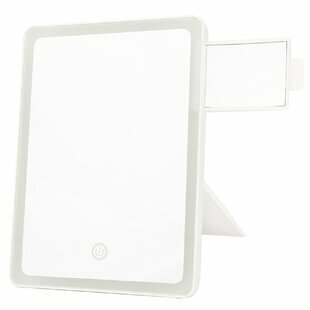 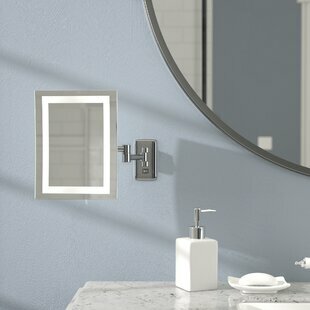 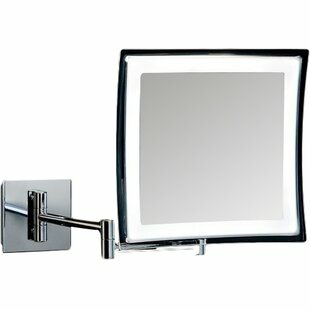 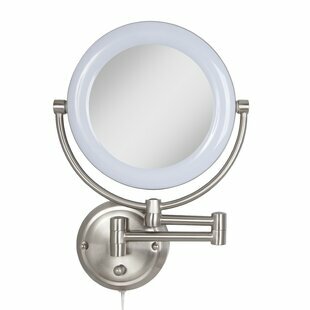 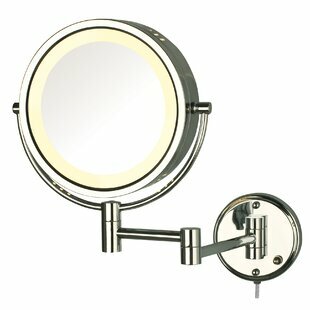 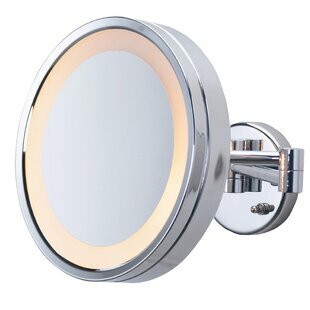 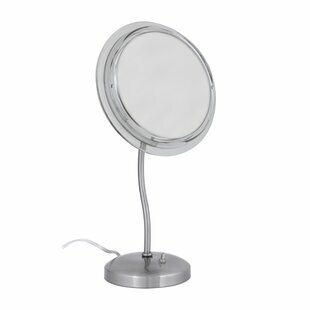 What makes this mirror unique is its LED bulbs that never require replacement and use 2.5-watts of power (brightness is comparable to a standard 40-watt bulb). 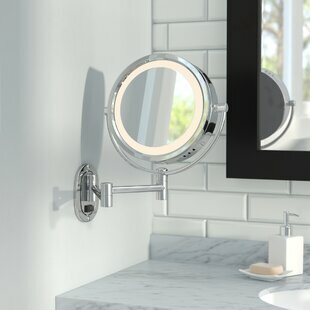 The chrome finish protects against... 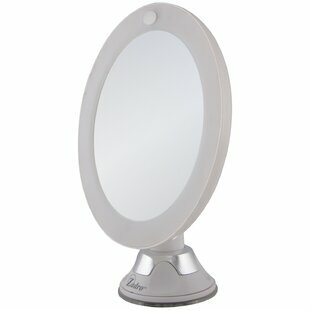 Overall: 10.25 H x 9.75 W x 3.5 D Overall Product Weight: 3.55lb. 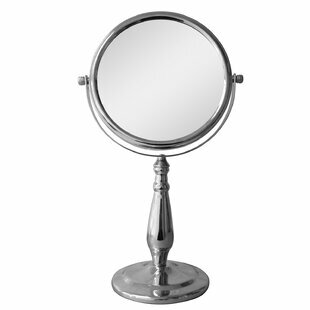 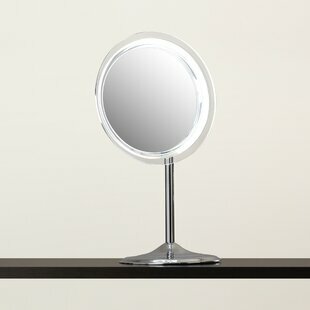 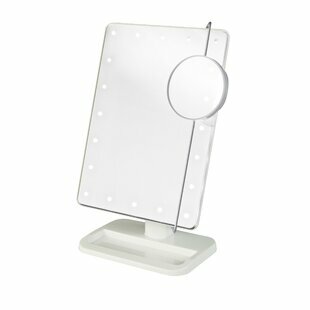 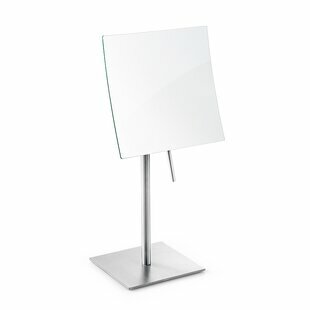 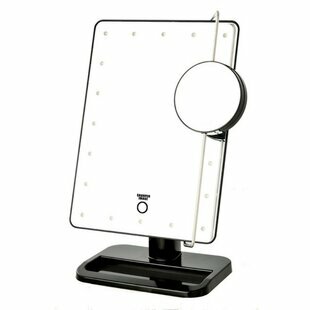 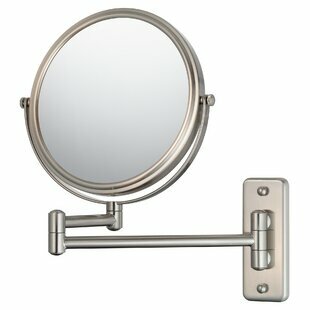 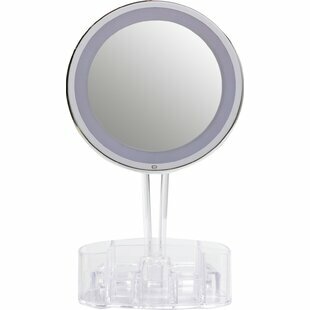 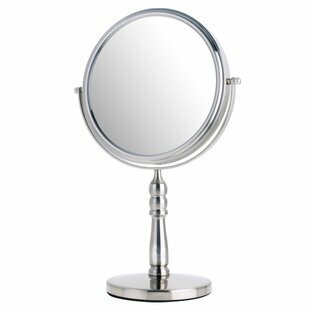 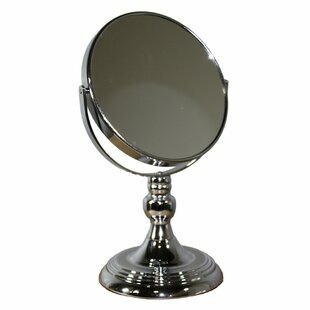 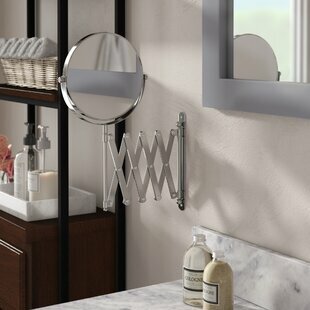 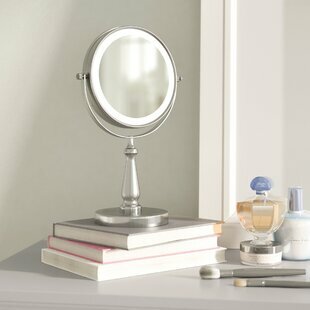 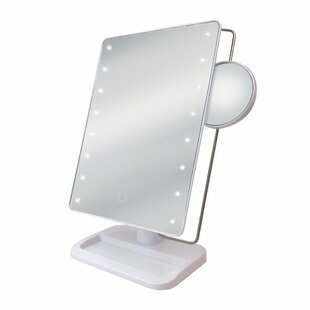 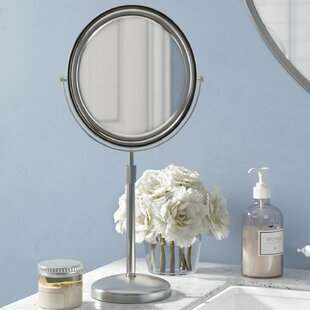 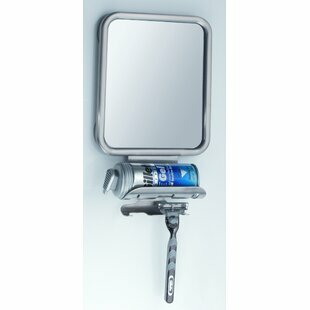 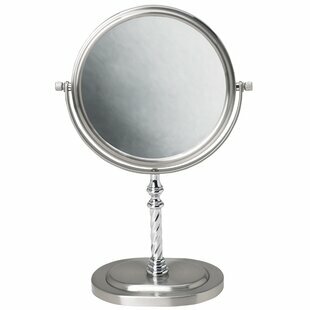 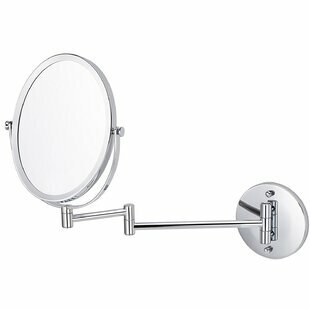 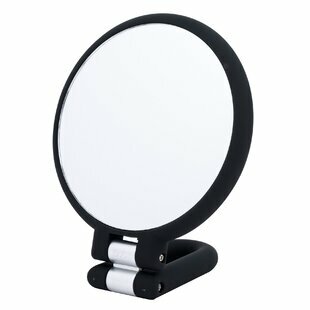 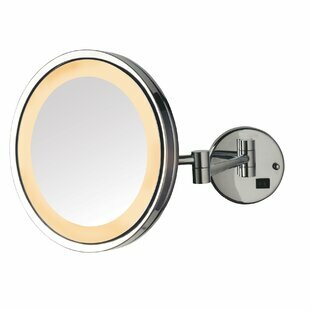 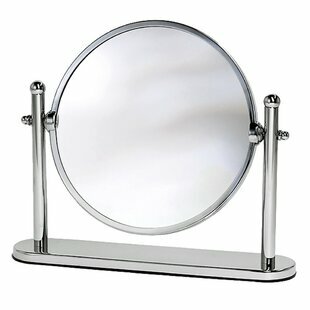 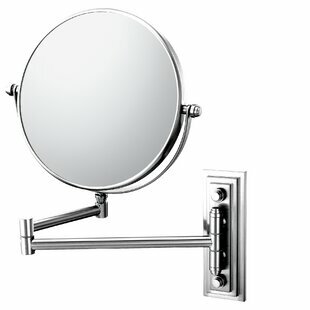 This beautifully designed Latitude II Makeup/Shaving Mirror adds a hint of glamour to any dresser or vanity. 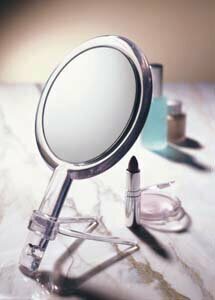 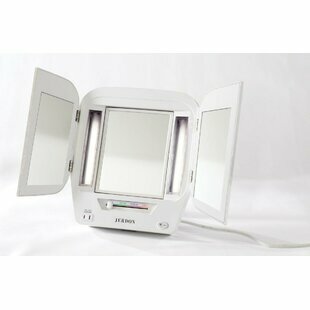 This two-sided mirror provides two magnification options to make sure every detail of your hair and makeup are in place. 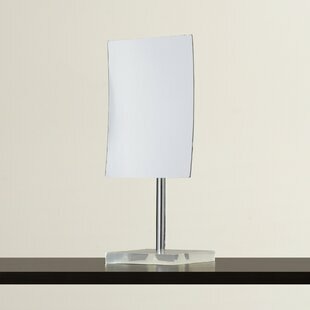 Overall: 12.5 H x 7.5 W x 4.13 D Overall Product Weight: 2.55lb.